Wyndham Worldwide has entered into a definitive agreement for the sale of its European holiday rental business to Platinum Equity. The deal is valued at approximately $1.3 billion. Wyndham Hotel Group has become the official partner hotel of the second edition of ITB China, which will take place from May 16th-18th 2018 at the Shanghai World Expo Exhibition & Conference Centre. A second Wyndham Hotels & Resorts flag has risen in Bali with the opening of Wyndham Dreamland Resort Bali. The upscale 177-room resort is located near Dreamland Beach, one of Bali’s most idyllic hidden coves. Wyndham Worldwide will acquire La Quinta’s hotel franchise and hotel management businesses for $1.95 billion in cash. Under the terms of the agreement, stockholders of La Quinta will receive $8.40 per share in cash (approximately $1 billion in aggregate), and Wyndham Worldwide will repay approximately $715 million of La Quinta debt. 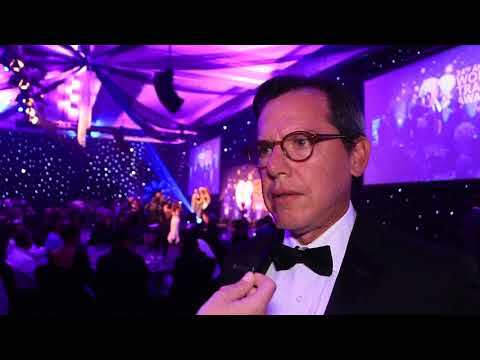 Andres Casal, president of board of directors at Wyndham Guayaquil, speaks to Breaking Travel News at the Hard Rock Hotel Riviera Maya, Mexico, during the World Travel Awards Latin America Gala Ceremony 2017. Wyndham Hotel Group has opened two new hotels on the popular tourist island of Jeju, further expanding two of its globally recognised brands in South Korea as it caters to the growth in domestic travel to the island. Wyndham Hotel Group has announced the signing of a new Wyndham Garden branded resort slated for development on the island of Phu Quoc, Vietnam. The Wyndham Garden Phu Quoc is scheduled for completion in 2020 and adds to the hospitality giant’s growing portfolio in Vietnam, which includes the newly-opened Wyndham Legend Halong Bay and the 3,200-key Wyndham Soleil Danang due to open in 2018. Wyndham Worldwide-owned RCI has acquired London-based Love Home Swap, one of the world’s largest home exchange programs. Through the acquisition, RCI adds a company that complements its existing business, broadens its appeal to a new base of holidaymakers and strengthens its position as a leader within the global alternative holiday accommodation sector. American hotel brand Howard Johnson has debuted on the shores of South Korea’s leading island destination with the opening of Howard Johnson Jeju Seogwipo Harbor. Wyndham Hotel Group has opened its first Wyndham Grand properties in South America, stepping up its presence in Latin America and the Caribbean to 200 hotels. With the debut of its upper-upscale Wyndham Grand brand in Asunción, Paraguay, and Montevideo, Uruguay, ten of the company’s 18 brands operate in 11 countries across the continent. Wyndham Vacation Rentals UK, whose brands include Hoseasons, James Villas and cottages.com, has announced the reorganisation of their senior domestic holidays team to support their future growth plans. Wyndham Hotel Group and Zeus International, a Greek hotel management and consulting company, have announced plans to build upon their existing partnership with a new strategic development agreement.